Delirium is a serious condition that affects nearly 2.2 million elderly Americans each year. If left untreated, it can lead to other illnesses, complications and even death. For this reason, it is important to understand one of the most common and preventable causes of delirium – dehydration. Take a look at why seniors are especially prone to dehydration and how to keep your loved ones safe. Delirium is defined as a mental disturbance characterized by sudden or worsening confusion, changes in the level of consciousness or even hallucinations. Delirium is often mistaken for dementia, partially because the symptoms are so similar to one another. Unlike dementia; however, delirium is often temporary and reversible. It is also easier to prevent than treat. Stay hydrated to prevent delirium. While certain risk factors such as age and medical condition are unavoidable, staying hydrated is one of the simplest and most effective ways to prevent yourself or a loved one from becoming delirious. Unfortunately, dehydration is very common among seniors. As we age, our bodies change. Our muscle mass and kidney function decreases, limiting the body’s capacity to store water. Often times, seniors who experience urinary incontinence and other mobility issues may limit his or her fluid intake in fear of a bladder accident or to avoid multiple trips to the restroom. If you are providing care for an elderly patient or loved one, be sure to monitor his or her fluid intake daily and encourage healthy habits. 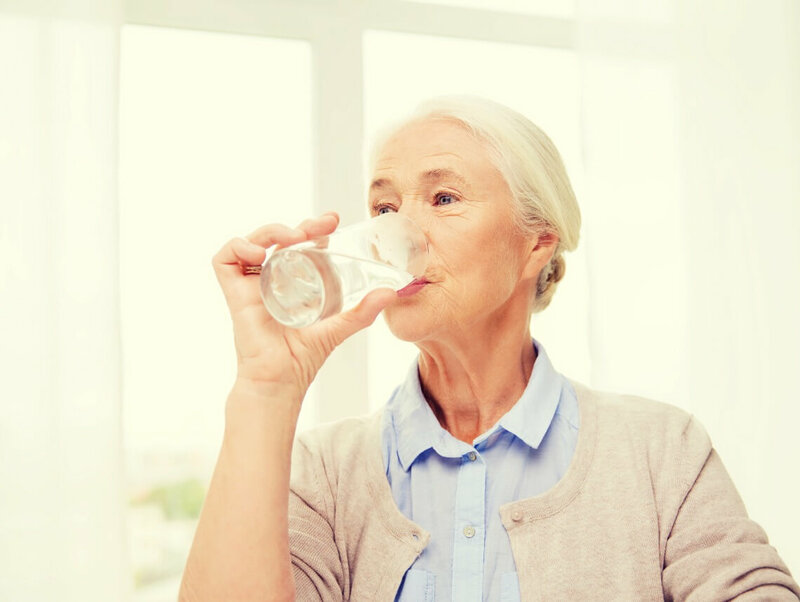 Educate seniors about dehydration risks and encourage healthy habits. Drink one glass of water before each meal and aim for six to eight 8-ounce glasses of water per day (unless otherwise directed by a physician). Limit caffeine and alcohol intake, as they act as diuretics, increasing the likelihood of becoming dehydrated. Do not wait until you feel thirsty to drink water. Make fluids easily accessible to seniors in your care. Offer substitutes such as popsicles, Italian ice, etc. to those who prefer something other than water. Eat more fruits and vegetables, as they are optimal sources of water. At Sonas Home Health Care, we understand the importance of proper nutrition and hydration. We refer loving and competent caregivers to oversee that your loved one receives proper care and nutrition to maintain a healthy and independent lifestyle. Give us a call today at (888) 592-5855 to speak with a representative.